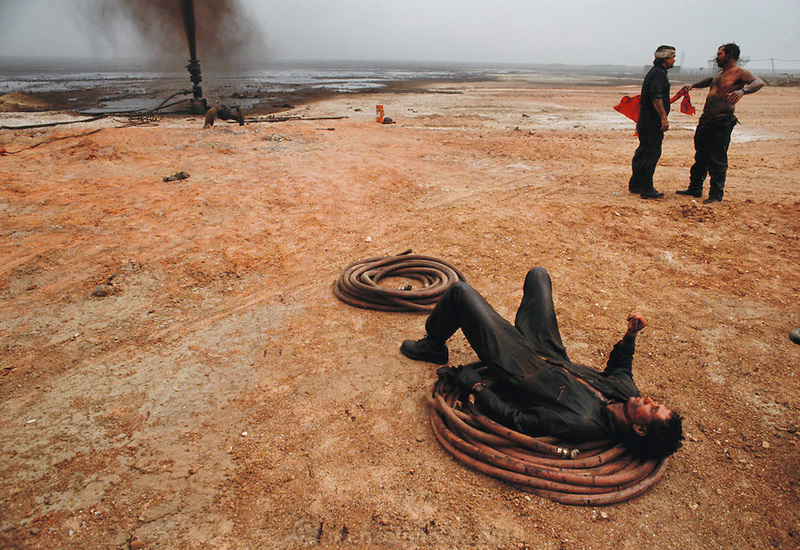 An exhausted Wild Well Control Inc. worker takes a break while capping an oil well after they extinguished the fire. The burning Al Burgan oil fields in Kuwait after the end of the Gulf War in May of 1991 were covered in oil that rained down from the clouds of oil smoke and oil shooting into the air after a fire had been extinguished. More than 700 wells were set ablaze by retreating Iraqi troops creating the largest man-made environmental disaster in history. Photo taken on July 8, 1991.